This is a rectangular Marathon Motor Oil porcelain sign. This particular Marathon Motor Oil sign is predominantly green and black. 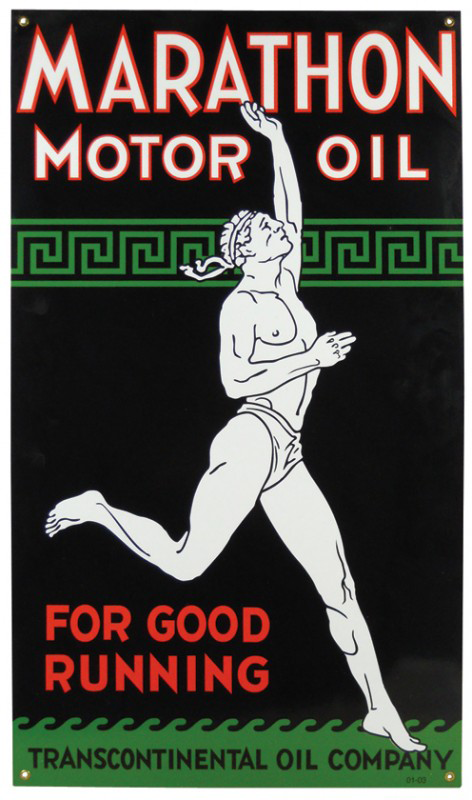 It reads, “Marathon Motor Oil, For Good Running, Transcontinental Oil Company” and features a running man dressed in a loincloth.